Is it possible to be too sensitive? You might think so, but the Daughter of Water does not. She, of the water element (feelings, dreams, memories), is willing and able to feel everything. She swims in memory and dream, she senses the deep undercurrents of emotion that others do not, she allows her sensuality to flow freely. She is here to teach you how to soften and open, how to listen to your true feelings and to express them deeply. 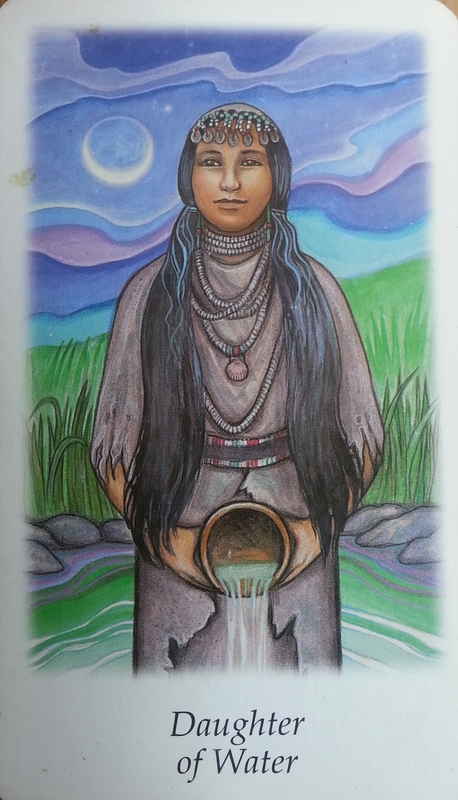 The water flowing freely from her lower chakras shows the depth of her attunement and openness. Don’t be afraid to feel; your feelings are real.